Dr Anthony Hopkins is a Senior Lecturer and Director of Clinical and Internship Courses at the ANU Law School, having joined ANU is 2015. In 2018, Anthony received a Vice-Chancellor's citation for outstanding contribution to student learning in recognition of his innovative teaching approaches designed to take students as close as possible to the coalface of legal practice. Anthony began his career as a criminal defence lawyer in Alice Springs at the Central Australian Aboriginal Legal Aid Service. After taking time off to raise children, Anthony returned to the law as a lecturer at the University of Canberra, before being called to the bar in 2010. He continues to practice as a barrister with a focus on sentencing and appellate criminal cases. Anthony's research, and his work in legal policy, is focused on reforms to the criminal justice system that promote equality and reduce incarceration. He has a particular focus on the experiences of Aboriginal and Torres Strait Islander peoples in the criminal justice system. Most recently Anthony has focused on exploring the links between equality and compassion, where compassion is understood as the foundation that enables turning towards those who are caught in the criminal justice system, and towards actors in that system who are liable to burnout. This research is supported and influenced by Anthony's continuing mindfulness meditation practice. Hopkins A and Bartels L, ‘Paying attention to the person: Compassion, equality and therapeutic jurisprudence’ in N Stobbs, L Bartels and M Vols (eds), The methodology and practice of therapeutic jurisprudence, Carolina Academic Press. Forthcoming. Hopkins A, Carline A and Easteal P (2018), ‘Equal Consideration and Informed Imagining: Recognising and Responding to the Lived Experiences of Abused Women Who Kill’, Melbourne University Law Review, 41: 1201-1236. King C, Bartels L, Easteal P and Hopkins A (2016), ‘Did defensive homicide in Victoria provide a safety net for battered women who kill? A case study analysis’, Monash University Law Review, 32: 138-178. Anthony T, Bartels L and Hopkins A (2015), ‘Lessons lost in sentencing: Welding individualised justice to Indigenous justice’, Melbourne University Law Review, 39: 1-28. Hoitink D and Hopkins A (2015), 'Divergent approaches to the admissibility of tendency evidence in New South Wales and Victoria: The risk of adopting a more permissive approach’, Criminal Law Journal 39: 303-325. Hopkins A (2012), ‘The Relevance of Aboriginality in Sentencing: Sentencing a Person for Who they Are’, Australian Indigenous Law Review 16(1): 37-52. Hopkins A (2009), ‘Teaching Evidence Law within the Framework of a Trial: Relating Theory to Practice as Students Take to Their Feet and Take Responsibility for the Trial Narrative’, Journal of the Australasian Law Teachers Association, 2(1&2): 173-184. Dr Anthony Hopkins undertakes research with a focus on the denial of equality before the law in the criminal justice system. Drawing upon his past experience working for the Aboriginal Legal Service in Alice Springs and his continuing experience as a barrister in the ACT, his publications are primarily targeted at illuminating the lived experience of those who come before the law. 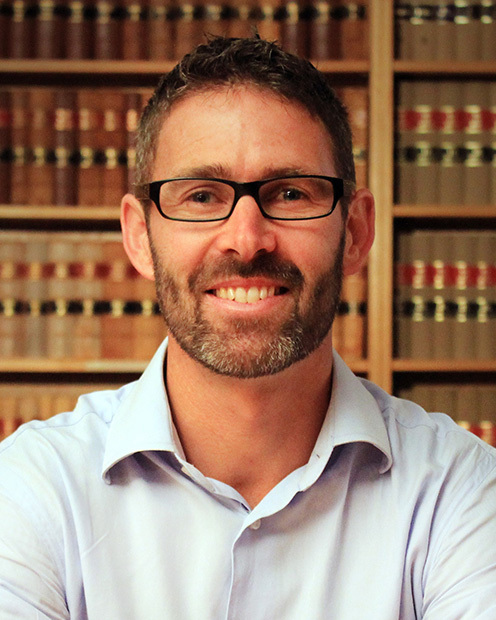 In 2015, Anthony completed his PhD by publication, which included articles and book chapters considering national and international reforms with respect to sentencing Indigenous Australians, criminal defences for battered women who kill in response to family violence and limits on the cross-examination of vulnerable witnesses. He is co-author (with John Anderson) of a student-oriented text on Uniform Evidence Law, which incorporates his innovative experiential approach to teaching evidence law. This approach, also the subject of an earlier publication, takes students to the coalface of practice, enabling them to understand practical operation of the law and its impact. Anthony represents the Bar Association and the ANU College of Law on the ACT Justice Reform Strategy Advisory Group, focusing on innovations in sentencing and corrections designed to reduce incarceration rates. John Anderson and Anthony Hopkins, Uniform Evidence Law Guidebook (Oxford University Press, 2014). Lewis C, Hopkins A and Bartels L (2013), ‘The relevance of Aboriginality in sentencing: Findings from interviews in the ACT, in P Easteal (ed), Justice connections, Cambridge Scholars Publishing, 37-59. Easteal, P and Hopkins (2010) ‘Women and criminal defences to homicide’ in P Easteal (ed) Women and the Law, LexisNexis, 109-130. Anthony Hopkins, ‘Meeting the Challenge of Bugmy: Using Gladue-style Reports to Link the Story of the People to the Story of the Person’ (Presented at National Indigenous Legal Conference 2016, Australian National University, 6 September 2016). Anthony Hopkins, ‘Compassion as a Foundation for Giving Equal Consideration in Criminal Justice Law Reform’ (Presented at National Law Reform Conference, Australian National University, 14 April 2016). Anthony Hopkins, Lisa Oxman, Lorana Bartells, ‘Justice as Wellbeing in Prison: The Potential of Vipassana Meditation’ (Presented at Justice Connections IV Symposium, Australian National University, 20 November 2015). Lorana Bartels, Thalia Anthony and Anthony Hopkins, ‘Sentencing Aboriginal offenders in Australia and Canada: A comparative analysis’ (Presented at the International Society for the Reform of Criminal Law Conference on Sentencing and Corrections, Vancouver, June 2014). Anthony Hopkins and Christina Muthurajah, ‘Controlling Leading Questions in the Cross-Examination of Aboriginal Witnesses: The Legal Position in Practice in Alice Springs’ (Presented to combined conference of the Applied Linguistics Association of Australia, Applied Linguistics Association of New Zealand and Australian Linguistic Society, Australian National University, 1-2 December 2011). Anthony Hopkins, ‘Aboriginality in Sentencing – Sentencing a Person for Who They Are’ (Presented at the Fifth National Indigenous Legal Conference, Australian National University, 1-2 October 2010). Anthony Hopkins, Submission No 9 to Australian Capital Territory Legislative Standing Committee, Inquiry into Sentencing, 14 October 2013. Patricia Easteal and Anthony Hopkins, Submission No 36 to Australian Law Reform Commission, Family Violence and Commonwealth Laws, 12 May 2010. ACT Department of Justice and Community Safety, Justice Reform Strategy Advisory Group. Often the practical and moral importance of university learning is only realised when that learning is put in action. And, in terms of the law, too often this does not occur until the newly graduated are faced with the responsibility of making decisions that affect the lives of their clients, other participants in the legal process, and the wider community. With a rapidly expanding case load, it can be too late by then to learn the lessons missed. This creates an imperative: to take students, so far as possible, to the 'coalface' of practice, in order to inspire in them a sense of real purpose and relevance so they don't miss the opportunity that university learning offers. Adopting this approach to teaching, Anthony endeavours to explicitly link theory and practice, and harness the potential of experiential learning. Anthony takes the view that experiential learning is critical to the development of important graduate attributes associated with the practice of law, but is also essential to developing students' capacity to critique and challenge existing laws, legal structures and processes. Anthony Hopkins, ‘Teaching Evidence Law within the Framework of a Trial: Relating Theory to Practice as Students Take to Their Feet and Take Responsibility for the Trial Narrative’ (2009) 2(1&2) Journal of the Australasian Law Teachers Association 173.